Ideal Suburban Homes would like to introduce Jenny Ferrell as our newest Sales Associate for our Garrett and Kendallville communities. 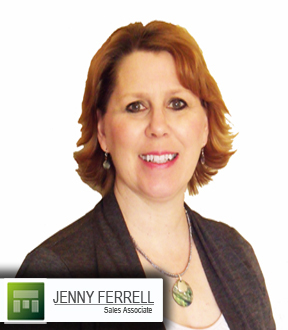 Jenny received her real estate license in 2008 but has been involved in the housing market for the past 15 years. Jenny is a professional in guiding you through the process of preparing your home to stand out and look better than other comparable homes. She will make sure to show you your home’s best features and how to minimize your flaws. Staging a home depersonalizes the home so buyers can visualize themselves living in the space. Jenny’s passion for real estate and providing honest, reliable service to her clients is what she strives to do. Whether you are selling or searching for your dream home, she will give you her full attention to make sure that all of your real estate needs are met.